Caption slip reads: "Photographer: Glickman. Date: 1952-03-19. Assignment: Charles Wesslund Jr. polio victim rides again. 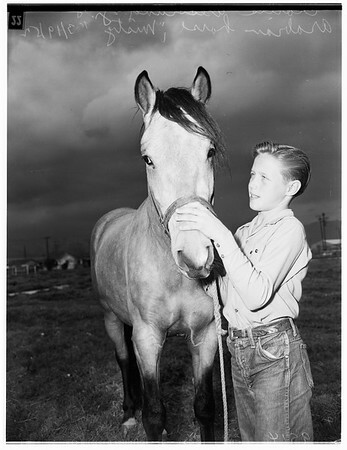 4 shots of Charles Wesslund Jr. and his Arabian horse 'Misty' at North Hollywood home".